"He Has a vibration in his voice and I like that , great lyrics well written especially when he sings it"
Alex left home at the age of ﬁve, dressed as a spaceman. When we are young minutes so often feel like hours, so nobody quite knows how far he got on his mission to the moon, but we are pleased to now have him as our very own artist in residence. Alex’s tenacious thirst for what lies beyond is reflected in each of his musical compositions. Both in subject and style, his songs blend and transport us to a whole host of musical tradition, vision and dynamism, evoking the ﬁnest folklore whilst simultaneously pointing towards a progressive poetics as yet untapped by our contemporary arts scene. To say that Alex has many strings to his bow would be a metaphor forgiven for the fact that it helps to conjure his presence as a musical magician, in which any number of guitars seamlessly pop into set, beautifully played and adored. Almost totemistic, each wood and strings take their part, whether it’s the ﬁnger-style acoustic guitar, lap-steel playing, or the Greek Bouzouki, Alex plays with a sincerity borne of years of graft, craft, and a man who seems to straddle multiple time boundaries. His lyrics offer a fusion of cultural and intercultural pertinence, generated by an acute appreciation for our earth and its ancestry, and a raw gift for storytelling. His musical oeuvre is enriched by his travels and immersive living experiences both in the UK and beyond, from backpacking around India and Europe, to playing at Surf festivals in Barbados, to tepee dwelling in the English rural countryside. The result is an oasis of mini ‘odysseys’ in which each song feels like it has been specially harvested for our appreciation. Through years of musical study together with an inimitable, intuitive flair for rhythm and the written word, Alex not only turns life into music, but enables us to see that music provides life with its heartbeat. He urges us to listen. Whilst developing his solo career, Alex has been actively engaged in a number of progressive musical initiatives, from Billy Bragg’s ‘Jail Guitar Doors’ project supporting rehabilitation with music, to working with disadvantaged youths, and music therapy with the disabled which led to the production of a unique ﬁlm score. He has most recently collaborated with renowned ﬁddle player Anna-Wendy Stevenson at the Traditional Music College on Uist, Scotland, and has shared stages with the likes of John Renbourn, Martin Simpson and Jackie Leven. 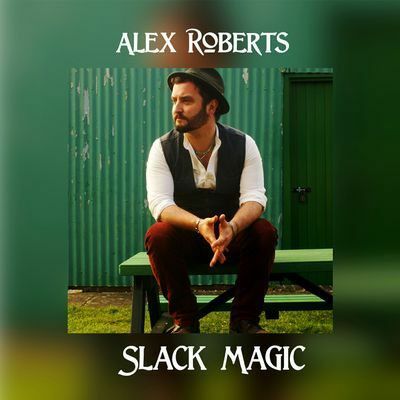 With titles bestowed upon him such as ‘the Bard of Dorset’ and ‘Hollowneck Troubadour’ (after his use of the Hawaiian style Weissenborn guitar), eight studio albums released and clocking up to 200 shows a year, Alex continues to respond to his calling as a singer-song-writer.